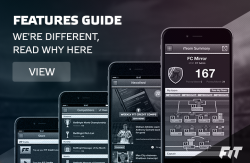 We’ve got £3500 pounds worth of prizes for fantasy football fans this Christmas. 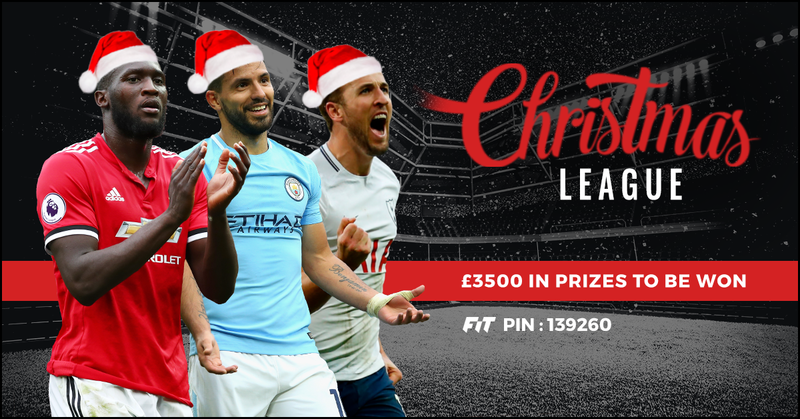 Our new and exclusive Christmas Mini League will run from December 1st to December 31st, covering 7 gameweeks! You can enter as many teams into the league as you wish, but only teams with zero points overall will be permitted to enter. Prize Draw: 10 copies of FIFA 2018 – we’ll randomly select 10 winners – just enter the league to be in with a chance. 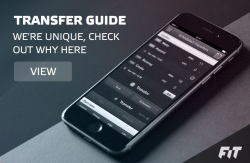 To create an additional team, tap on the change iTeam icon located at the top-right hand corner of your home screen, select Create New Team, then select English Premier League. Each additional team costs 220 FiT Credits, and you can create as many as you like. 3. The winner of the Official Christmas Mini League will be determined by Perform Media Services Ltd only. The fantasy team with the most points when the league ends on December 31st wins 1st prize. The teams finishing 2nd and 3rd overall (based on EPL points scored) will also win a prize. 4. In the event that two or more fantasy football teams have the same Soccerway EPL points and occupy any of the top 3 positions overall, the winner will be determined based on the most number of goals scored. If goals scored are also tied, the most number of assists will determine the winner. 5. The winner of each gameweek in the Official Christmas Mini League will be determined by Perform Media Services Ltd only. The fantasy team with the most points wins. Prizes available from gameweek 15 through to gameweek 21, no prizes will be issues after this time.